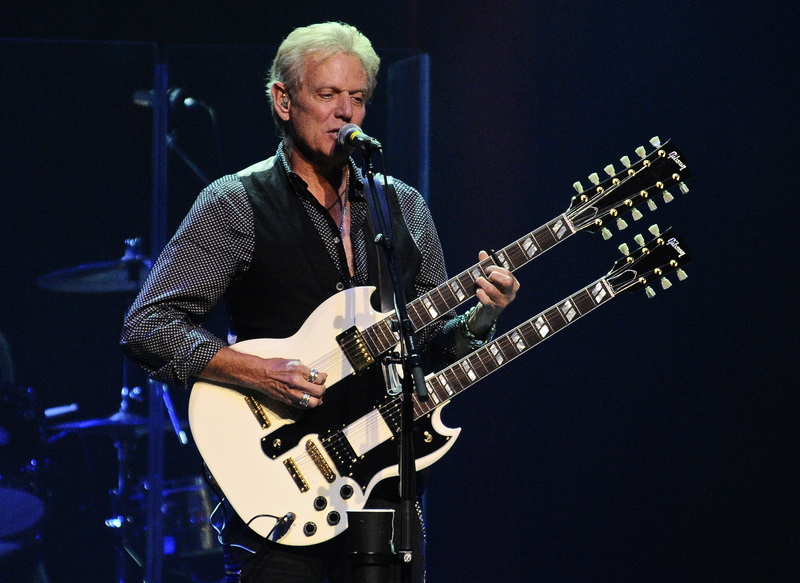 On Friday night, Don Felder performed at the Fallsview Casino’s Avalon Ballroom, the second night of a three night run. Billed as “An Evening at the Hotel California”, the former lead guitarist for the Eagles began the show with “Already Gone” and the tone was set. This night was going to be about those classic songs beloved by so many. Felder sang lead on just one song with the Eagles (“Visions” from the One of These Nights album) so I was wondering how these songs would sound with him singing them. While not quite as strong as Don Henley, at times the tone of Felder’s voice reminded me of Henley. On a couple of songs, most notably “Peaceful Easy Feeling”, it was hard to hear Felder. Not sure if this was a mixing issue or what but his singing was fine otherwise. His cover of Stevie Ray Vaughan’s ‘Pride and Joy” suited his voice well. Of course, Felder is known for his prowess on guitar and his playing throughout the show was flawless. Whether it was the aforementioned Vaughan cover, his solo material (highlighted by “Heavy Metal” and “You Don’t Have Me”) or those timeless Eagles tunes, Felder made it look effortless. The musicians playing with him may not be recognizable names to most but are quite accomplished. Keyboardist Timothy Drury played with the Eagles on their Hell Freezes Over tour as well as with Whitesnake. Drummer Chris Ralles, guitarist Greg Suran and bassist Shem von Schroek have played with artists such as Pat Benatar, Kenny Loggins, and the Goo Goo Dolls. Reproducing the harmonies of the Eagles is a daunting task but these guys did it, particularly on “Seven Bridges Road” which Felder said the Eagles would use as a warm-up exercise to determine who was in top voice on a given night. Felder made the audience wait for “Hotel California” until the very end as part of the encore. He is credited with writing the music to the song so he is responsible for coming up with one of the most iconic guitar solos ever written. While performed almost exactly like the original recording, the intro was a bit rushed. Among many highlights were “One of These Nights” (probably my favorite Eagles tune) and “Those Shoes”. Felder and his band clearly were enjoying playing these songs and the crowd enjoyed hearing them. While his old cohorts are bringing their tour to Buffalo in July, Felder, provided Eagles fans with a very satisfying evening playing a more intimate venue and with lower ticket prices. He loves playing at the Fallsview so if you’ve never seen him, it’s a great place to see a rock legend.